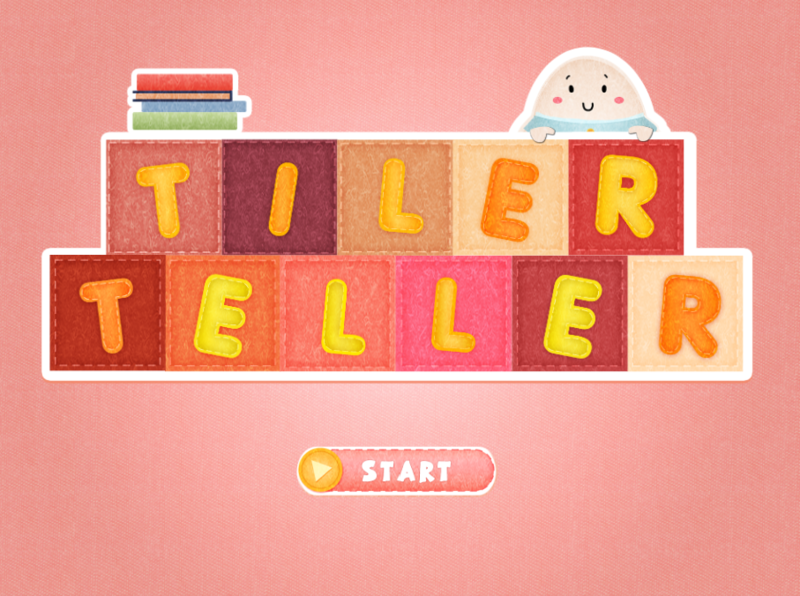 Tiler Teller is an educational game that comes with an interactive toy (a sponge cube with 6 different tiles attached with an tablet app) for kids. The game integrates digital storytelling with physical puzzle solving and teaches kids about shape, color and number recognition. Make an enjoyable family storytime for both kids and their parents. 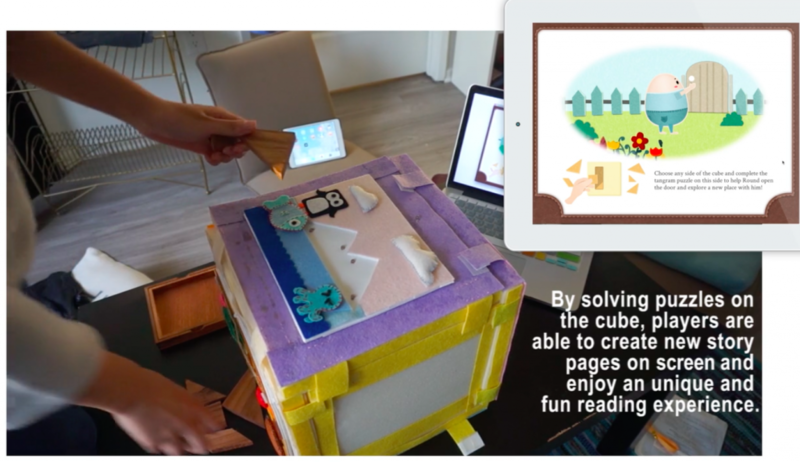 Combining digital fairytale book with tangible interface. Unlock story pieces on screen by solving physical puzzles. Use unique combination of sensors to recognize the puzzle pattern in play, connecting the device over Bluetooth to tablets running iOS or Android. We are making this project for CTIN-532 Interactive Design and Production I. In a team of 2, we were asked to make an interactive project throughout the whole semester. Being interested in alternative controls and educational games, both of us agreed on making an interactive experience for families so that parents and kids can spend time together playing games and creating stories. At the same time, we wanted to help kids practice their ability to recognize colors and shapes and improve creativity through solving puzzles.